Planning for the next 5 years? You should be, and this panel will help! 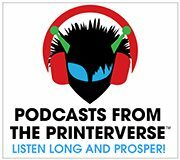 We will discuss technology, technology to watch, and share advice for the new leaders of print.